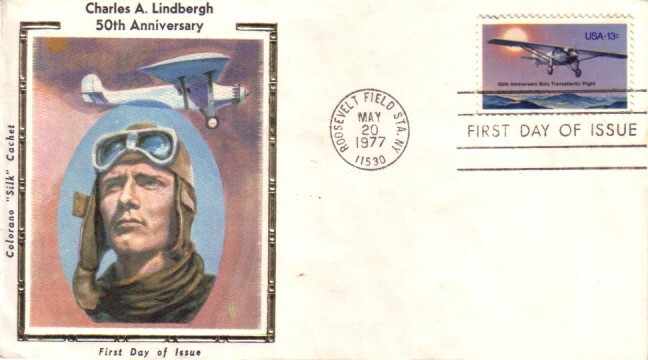 1977 USPS Colorano Silk cachet First Day Cover issued to commemorate the 50th Anniversary of Charles A. Lindbergh flying solo across the Atlantic from New York to Paris. 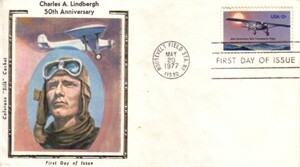 Postmarked May 20, 1977. Has very minor flaws/wear. ONLY ONE AVAILABLE FOR SALE.